The College Advance Graduate Prep program offers school selection and admission assistance to students of any age considering an advanced degree. Our clients seek admission to the most competitive graduate schools, medical schools, law schools or business schools in the United States and around the world. Our program fees are competitive and vary depending on your goals. You have unlimited access with our Grad School Counselor with the full program. We also offer hourly rates and reduced-fee packages for students who need assistance with only a few elements of the process. Contact us directly to discuss your needs and to develop a tailored program that meets your requirements and budget. Standardized career and skill assessment tests are administered in the initial phase of our work. Or, if you have already taken these tests, the results are incorporated in the work we do together. College Advance survey tests augment the results of the formal testing. Results may show inconsistencies or reflect additional pathways never before considered. These additional options are discussed with regard to the types of graduate or professional schools you have chosen or are considering. Pre-med tracks are clearly spelled out at every college or university. We work with you to adapt the curriculum to your learning styles, short and long term goals. 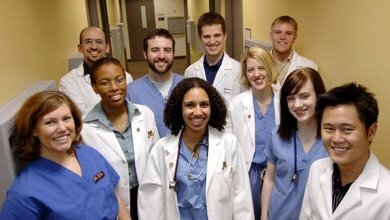 And, help you select courses for your electives that are interesting and will be good preparation for your medical school applications and academic success as you pursue your medical degree. College Advance helps you develop a list of criteria — elements of your ideal school you wish to get into and attend. For example, researching faculty you would like to work with is important. Opportunities for undertaking research in your field may be an important aspect of your targeted programs and you maynot want to apply if these did not exist. Our proven research methodologies help you quickly assess what those criteria are and find programs that satisfy all of them. A portfolio of strong research, extracurricular, volunteer, community service and leadership activities are critical to the graduate school admission process. We counsel you on resume-building opportunities you would enjoy and would be important to your admission portfolio. Admission officers make their decisions based on your MCAT, GMAT or GRE scores. Strategies of when to take the tests are very important. We help you with the timing of when and how many times you take the tests. And, we have a number of proven, reliable, results oriented test prep programs we recommend. We review all applications before submission to make sure that all sections of the applications are filled out properly. On a first review of applications, we find numerous yet simple mistakes on virtually each and every one. Research shows that these simple errors can have grave consequences. Competitive colleges look more heavily at the essay to determine whether to accept or deny. It is one of the few places a student can stand out in profound ways. The personal statement is unlike the essays you wrote for your undergraduate admissions applications. It is extremely rare that the first draft will be the last draft; the personal statement is a new way of writing for students and requires numerous edits prior to uploading them onto the application. With experience reading thousands of applications and essays while doing grad admission work at Boston University, we have depth of experience that helps our students write personal statements that stand out and get them in. At College Advance, we counsel our students extensively on how to conduct themselves in interviews. We do mock interviews, coaching our students on the types of questions to ask and the appropriate responses to those asked by the interviewer. These prep steps raise student confidence. Interviews are then successful and positive write ups are made to the applications at each college. Interview importance is different for medical school, business school, law school or other professional programs. Over the years we have developed working relationships with many college and universities’ admission offices across the country. Although we do not “pitch” our students, we provide background on them to the admissions committees which sheds light on things the student could not, would not, or shouldn’t explain on their own.